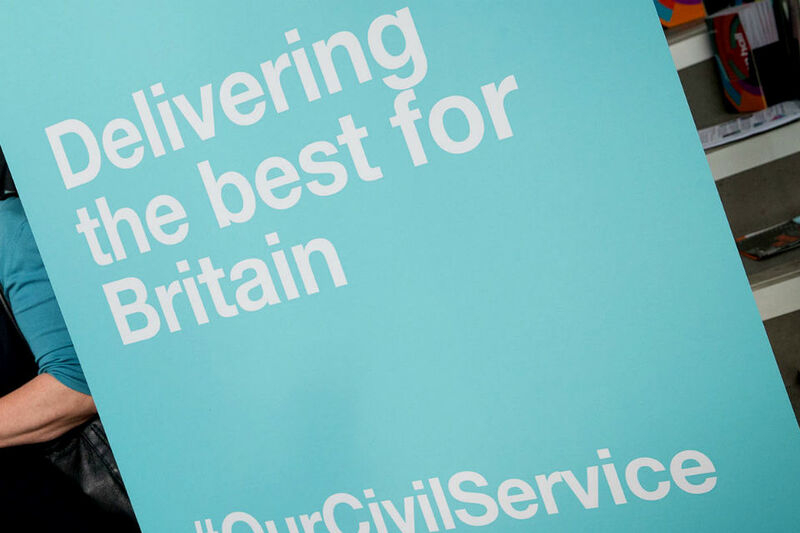 During my time in government, I have met any number of talented and committed civil servants who want nothing more than to do an excellent job and make a difference to public services. Unfortunately, over time, barriers and processes have developed that prevent dedicated public servants from doing exactly that. Here are a few essential principles I’ve observed for getting things done in Whitehall (or not). In general, the longer the document (be it legislation, strategy or a simple submission) the less effective it is for advising ministers, communicating with the public or getting whatever result you’re looking for. Similarly, small teams of the right people focused on solving a problem and seeing through solutions are much more effective than large groups working on separate tasks (see Principle 2). Less is also more with levels of hierarchy. Filtering directions from ministers at the top of a department to the junior official doing the work and back up again, means the end product is less likely to satisfy the original request. It’s important to have the right people in the room at the outset. The civil service has people with many different skills and expertise - but these need to come together to be effective. There is no point in a policy without an implementation plan; there is no point in analysis without action; and you certainly can’t ‘deliver’ something that doesn’t exist in the first place. If these areas work in silos from each other duplication, miscommunication and missed opportunities are more likely. We need decent, reliable and up-to-date information in order to make effective decisions on policy and implementation! Official statistics and proper evaluations are very important in our national life, for learning about what works over time and for the longer-term accountability that must rightly exist for all governments. But for making decisions, particularly when faced with an urgent problem, we will need much more real-time and granular information, presented in an understandable format. My work as a local MP gives me a unique perspective on how government priorities are being delivered on the ground, and when they’re not working as intended I find out quickly through my mailbox and from our colleagues in Parliament. It is important that all civil servants gather this same knowledge. A real value of the Implementation Unit(s) is that they really do get out around the UK and bring back the facts on the ground, visiting a decent sample of diverse places based on data. That’s essential for me when looking at implementation across the UK, as the experiences I see in rural Dorset will be very different from the realities in the centre of one of our great cities. So often when trying to investigate a problem or pursue a solution, there are barriers that initially seem to stand in the way – legal, financial, lack of levers and many more. Usually, I find that, if we persist, almost none of them are insurmountable. The barriers can typically be overcome with some creative thinking; the right questions; and using all the resources at our disposal. And the best results really come when we get a good official in the right post – who then commits to stay put until the commitment we’ve asked them to deliver is in place and having the intended impact. So, to sum up my views on the keys to successful implementation: small teams with the right mix of skills and experience, armed with good data and local intelligence, coming together to identify how to address an issue and persisting until solutions are found, have been implemented and are having the intended impact. To my mind, this also has the advantage of being much more interesting and inspiring for the people doing the work. I hope you will take these principles to heart and make them a reality in your day-to-day jobs. And I look forward to working with many of you as you do so. Couldn't agree more. I recently came across the 2 pizza rule (a US concept) in a book, but the rule is that no meeting should be held where 2 pizza's could not satisfy the participants. Smaller groups are definitely more effective. I read a book many years ago called Systematics. He proved by many examples that any meeting with more than 8 participants is useless. 8 is the magic number. It has been known for as long as I can remember that any more than 8 people in a group and the group splits into two. That's probably why our team sizes are always 10 or above. We can’t have a well-balanced team now can we? I've seen the size of American pizzas; two of them would feed a packed COBRA meeting. These are all good. Is the reference in Principle 2 to delivering something that doesn't exist a knowingly ironic comment on the Implementation Task Forces? Cabinet Office says they are not bodies for strategic decision-making (hence the name), yet in many cases they are attempting to implement strategies that don't exist yet. On Principle 4, which Implementation Unit(s) are resourced to do this? I'm not aware of any - they all seem to be very small Whitehall silos without the people to do any meaningful external engagement. 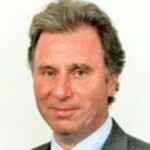 As an ex civil servant I saw the main problem is MPs. They propose changes to whichever way we did things. these changes are always carried out in spite of the fact that the system predicated has been tried and failed before. Every change in systems resulted in nothing more than delays at work. These principles are clear and useful, it will be interesting to see how we can put them into practice in our day to day work. We did a piece of research on bringing new styles of working to our department last year, under the banner of digital capability. We came up with our own 5 principles (link below); quite a few overlapping ideas with those above, which is encouraging! Will the Government be abolishing the detailed and very bureaucratic rules on the implementation of the spending controls it has put in place which require senior oversight and Cabinet Office or CCS approval for really quite minor proposals? In the context of a very challenging resource picture over the coming years we could do without creating ourselves work and we can leave the shortage of money to do the job for us. "the experiences I see in rural Dorset will be very different from the realities in the centre of one of our great cities." Couldn't agree more. So why is HMRC shutting offices all round the country and retreating into just a handful of sites, centered in the "big cities"? Sounds very sensible and very obvious. Why is it that layers of bureaucracy and obstacles are built into our systems? They didn't get there by accident. I'm not saying my ideas should go straight to the Prime Minister! But does any problem I discover really need to be filtered through layers and layers before it gets to the right person? I'm not entirely sure that I'm happy with the term 'junior official'. I'm not sure what the age demographic is across the CS, but I don't think many of us would consider ourselves to be 'junior'. Strikes me that Oliver was a few keystrokes away from wanting to use the term 'underling'. This blog sounds like a description of where I work - the Marine Management Organisation, small but highly effective. Excellent article - informative and to the point! Principle 6: Listen to your staff, take note & act on what they say. I agree strongly with Principle 2. The most effective legislative changes are those where the sharp-end staff have been actively involved in shaping the change, from the conceptual stage all the way through to drafting the clauses. Too often we have had changes dropped on us, with at best some lip-service toward consultation. We then see in practice all of the flaws which could have been foreseen with our involvement. We need more team thinking and fewer ivory towers. These principles are a great start (and not the end, I hope) and they should be reinforced at every opportunity. Having been around well over 20 years I absolutely agree with the comment above that, often, similar solutions to problems (if not the same ones!) are often implemented that have been tried (and even failed) before. Is that not the definition of madness? what happened to the reducing bureaucracy/freeing up agenda...strikes me there should still be some kind of ability to report and ask for resolution of issues...does it still exist? I recently came across an issues around info sharing whereby I am unable to send academic evidence of what works to a colleague sitting right next to me! the only way it can be supplied is if they request it themselves, surely this has to change if we are to really engender a learning environment? Principle 5 - people staying put to see things through is one of the keys. So often we have had new procedures or IT systems dreamt up, and those responsible have long moved on elsewhere when the outcome is 2½ years late and 3 times over budget, so they are never held accountable. As to principle 4, it seems these days that many - particularly young - policy advisers in Whitehall and Westminster come from private school and university (often with degrees in politics, or similar) without any significant experience of real life. London is a bubble and totally unrepresentative of the situation across the country, where in many towns and cities life is a struggle economically. It should be essential for any policy adviser to spend at least six months of the first year in their job living in an economically deprived area, on the minimum wage - or whatever benefits they can claim - and trying to make ends meet, to see what life is really like before they come back and try to make policy. Interesting stuff - it would be very useful to have a case of a study of a policy or project that has been successfully executed recently using these principles. We all strive to work effectively, however in the organisation that I work for (part of DWP) so much time is spent on recording time spent under different headings. The trouble is that there is no clear direction and within a small office there is always uncertainty about the task being undertaken. Mid year review is a good example. No one seems to know how this is to progressed and recorded. Policy advisors should look at the basics in order to gain efficiencies rather that focusing too much about detail- sometimes of questionable worth. They could also take advice form those at the sharp end who are doing the job and know where efficiencies could be made. Now how do I record the time i've spent writing this on my time sheet.......? These are indeed excellent principles. Nothing guarantees success, but if they are not followed, failure is pretty much assured. Perhaps the Cabinet Secretary could get a few posters printed and hand them out to Wednesday Morning Colleagues to occupy a prominent place in their offices. The real issue though is why these aren't being followed now. I don’t think it is lack of skills, flexibility, energy or willingness by those of us at working level. Rather it is the systems, the processes and the tools – particularly around HR, Finance and ICT - imposed upon us that make it almost impossible to get work done in a vaguely 21st century way. This is then exacerbated by the ever spiralling bureaucracy and the relentless pressure to employ external consultants, most of whom seem dedicated to turning straightforward activities into labyrinthine processes. These 5 principles made me laugh. Nothing new here, been around for years. You need a person who can cut to the real issue and get things done. The principles (which are somewhat questionable anyway) are useless without a 'facilitator', or 'project manager', if you prefer a more modern terminology. But the bureaucracy tends to over control most things anyway. So principle six becomes get the right person and principle seven is apply the principles to the process first, to get the mechanisms in place then apply the principle principles to them policy processes. Sorry for the typo at the end. The not 'them'. Grrrr. I should have applied principle one and decreased the volume to increase the effectiveness. Why is it when I report issues to Government Bodies .. I struggle to get a reply & when I do it is not our responsibility ?? Principle 3: data is king - Tell that to your boss for the next time he makes up statistics on immigrants claiming benefits or when he has no comprehension on why local councils are making budget cuts that have been forced on them by your Government. Lead from the top with fact and logic based policy. You could also do with abolishing the ICT Approval processes, added 3 months to each IT Project I have worked on and has cost my projects about -£4m while waiting on approvals. I agree smaller groups can be more effective but that should not mean a smaller Department or a Smaller Civil Service is. There does need to be less bureaucratic hurdles to what are for the most part simple tasks. At present these simple tasks s.a moving a scanner between rooms are too lengthy and bureaucratic. It is true that local intelligence is vital. That's why it's a serious mistake for so many HMRC Offices to close as they have been providing a vital local service to those local communities. I'm concerned about Principle 5 ("the best results really come when we get a good official in the right post – who then commits to stay put until the commitment we’ve asked them to deliver is in place and having the intended impact"). What if that person has a really good opportunity to move on and develop their career? Are they expected to stay put for the good of whatever they're currently working on? One area where these principles really need to be embedded is procurement of new services. The challenge here is retaining knowledgeable people, but also introducing creative new ideas that may challenge ways things have been done in the past at all levels. The challenge is to balance this sensibly and rather than dismiss experience challenge and evidence new products and services that work based on costs, experience, effectiveness and future proofing.